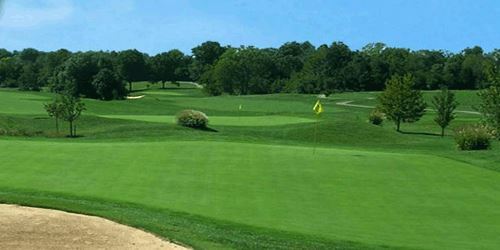 Louisville Golf Courses in Kentucky | Louisville, Kentucky Golf Clubs | My Golf Vacation"
The Maywood Golf course will challenge any golfer. 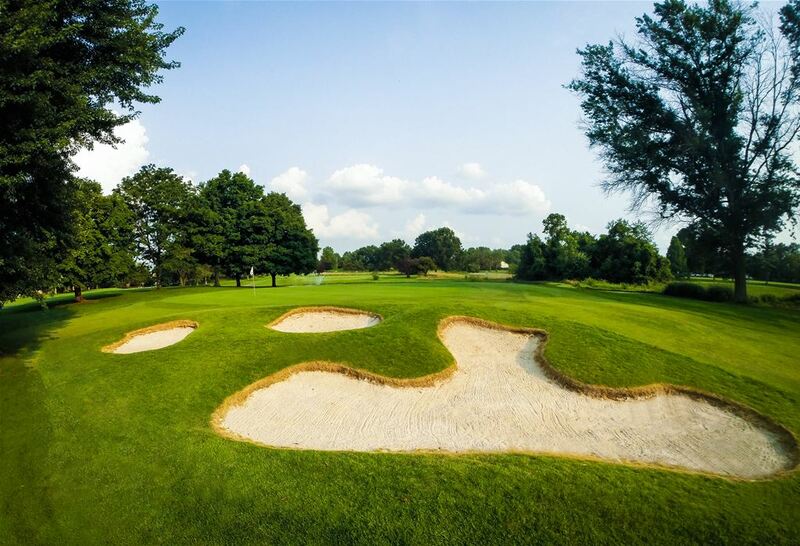 It is currently ranked the fourth most difficult course in the Louisville area by Business First Magazine. Maywood's five sets of tees measure over 7,200 yards from the championship tees to 4700 yards from the forward tees, so both seasoned and rookie golfers can enjoy a unique golfing experience. 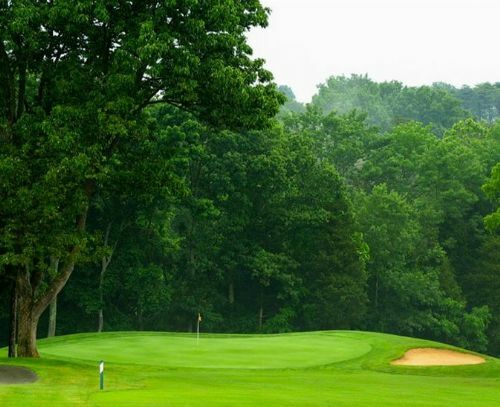 Woodlawn Springs is a provides a fun yet challenging golf experience for players of all skill levels. Things start off a little wide open and then tighten up as the round goes on. The greens and fairways are in the best shape they've ever been. The green complexes at Woodlawn Springs force the golfer to be very creative in their short game. But, accurate ball strikers can be rewarded with low scores on this hidden gem. 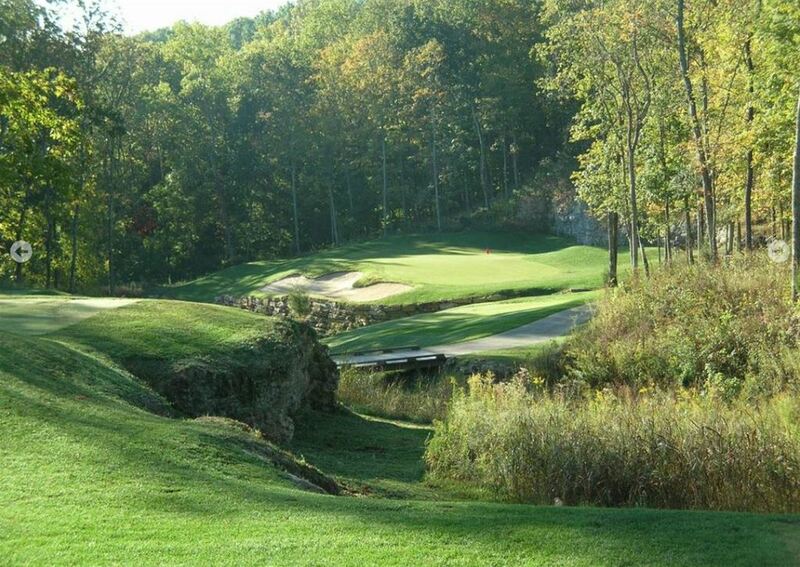 Chariot Run at Horseshoe Southern Indiana is one of the area's top public golf courses. The course is an equestrian-themed 18 holes that runs more than 7,200 yards from the back tees. It makes a perfect choice during your Indiana golf package. 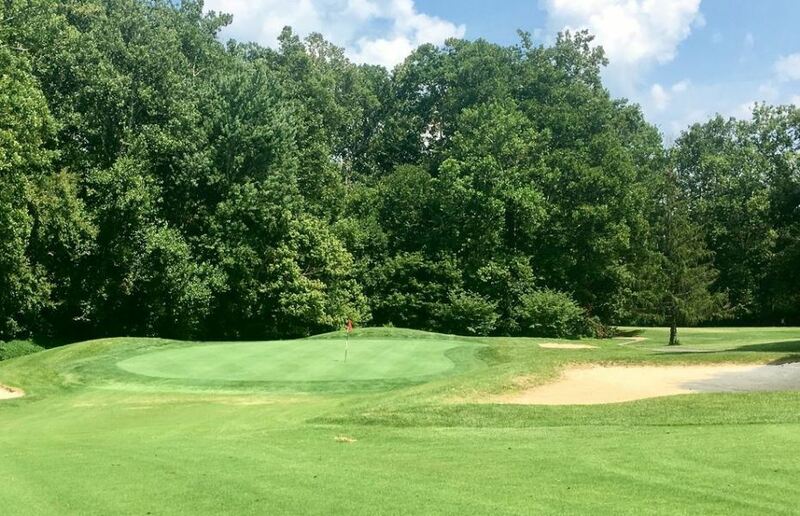 Elk Run Golf Club located close to downtown Louisville and is new and improved! Offering a wide range of tee options, to make for an enjoyable round for golfers of all skill levels. Featuring brand new fairways and plush greens, to go along with water hazards and bunkers. 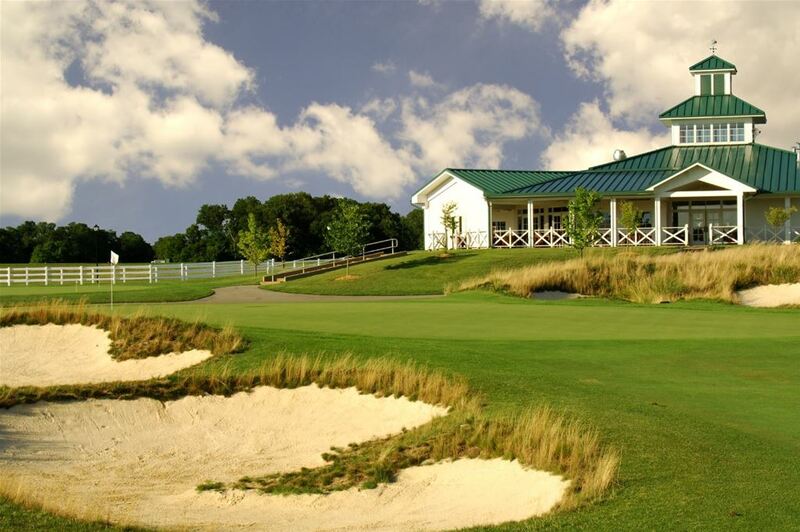 With a beautiful layout, full dining, and bar service, Elk Run provides an enjoyable round for all Louisville golf packages. Rated no 1 course in Kentucky for 2010 and top 10 new course in 2008 by Golf Digest. 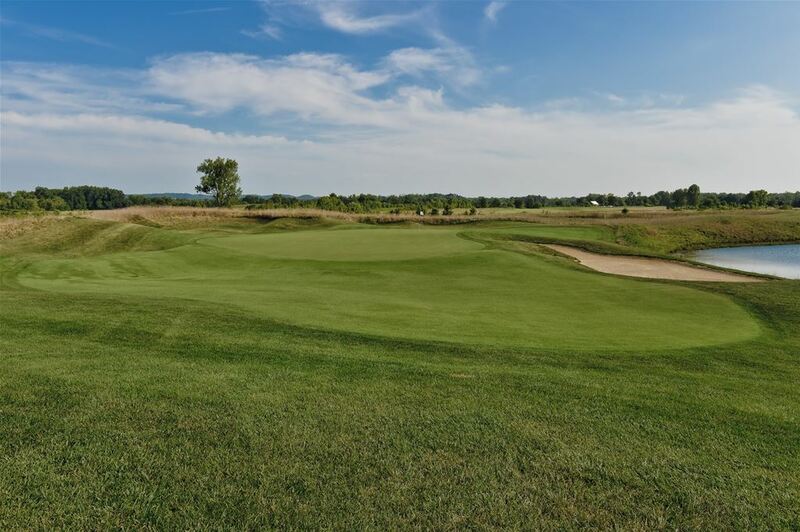 Over 7100 yards Heritage Hills Golf Club was designed by Doug Beach and is great for golfers of all levels. 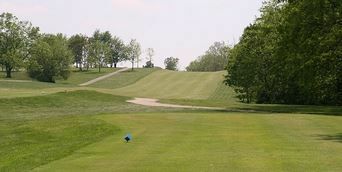 One of the premier courses in Louisville with great conditions and a great addition to your Kentucky golf packages. 27 hole golf facility offering gently undulating terrain and lush groves of Scotch pine, maple, oak and dogwood trees. Spectacular views of McNeely lake and southern Jefferson county provide an idyllic backdrop for a challenging round of golf. Play in a country club atmosphere with the amenities of a private course and hospitality from experienced staff. 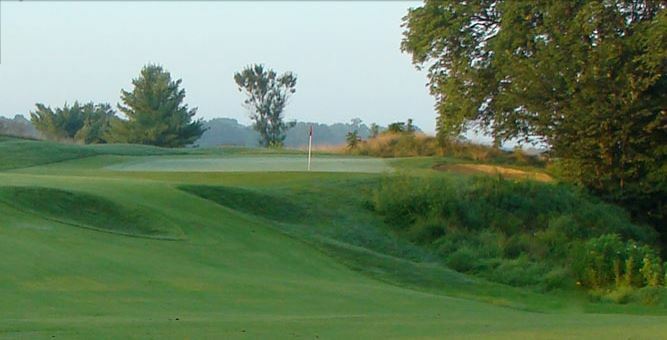 Designed Buck Blankenship, Shelbyville Country Club features five par 5's, five par 3's, and eight par 4's. The courses is lined with hundreds of mature trees and holes cut into the undulating landscape. A challenging and fair course, Shelbyville is a great choice for your Louisville vacation. Located in beautiful Shelbyville, Kentucky, Weissinger Hills is located just seconds off of I-64. Weissinger Hills is easily accessible from Lexington, Louisville and Central Kentucky. A nice option for Louisville golf packages. This new course is well bunkered, has narrow fairways, and large greens. 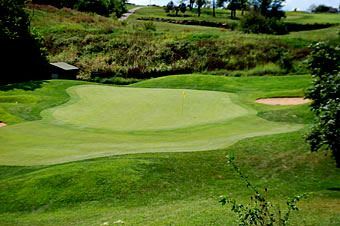 This Shelbyville golf course has five elevated greens, and water hazards (lakes) come into play on four holes. The signature hole is #2, a 470-yard, par 4, featuring an uphill fairway and a flat green. However, the four water hazards guarding the left side of this hole not only make it one of the most difficult holes on the course, but also one of the most scenic. Senior discounts are available on Tuesday's and Thursday's.